Christian leaders in the city of Raqqa have reportedly signed an agreement to pay a protection tax and consent to the demands of the militant Muslim group now controlling their city. The Muslim group, The Islamic State in Iraq and the Levant (ISIS), stated that they had met Christian representatives and offered them three choices: convert to Islam, submit to Islam as dhimmis (subjugated, second-class citizens) or “face the sword.” The Christian leaders allegedly then signed an agreement committing the Christian community to submission. 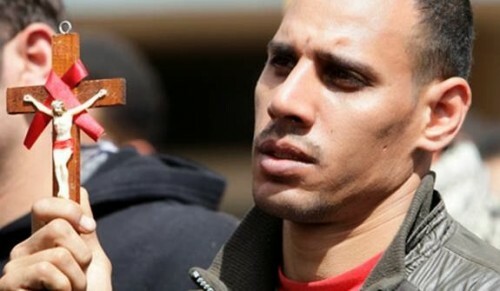 The conditions imposed on the believers prohibit repairing any church building, publicly displaying crosses or other symbols of Christianity, and conducting services outside a church building. Even when inside their church buildings, Christians are not allowed to sing or read the Scriptures loud enough for a Muslim standing outside to hear. Please lift up in prayer the Christians in Raqqa and throughout Syria, asking our Father to strengthen their faith and lovingly protect and watch over them. May He grant them wisdom and discernment, as well as opportunities to effectively proclaim the Gospel. Pray also that many Muslims, including the members of ISIS, will come to know Jesus Christ in a personal way.